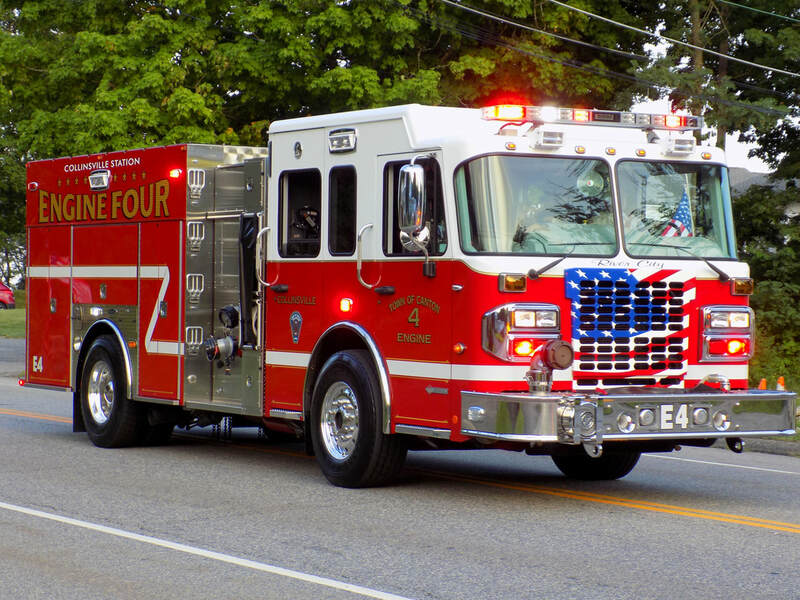 This is the page for the Canton FD. 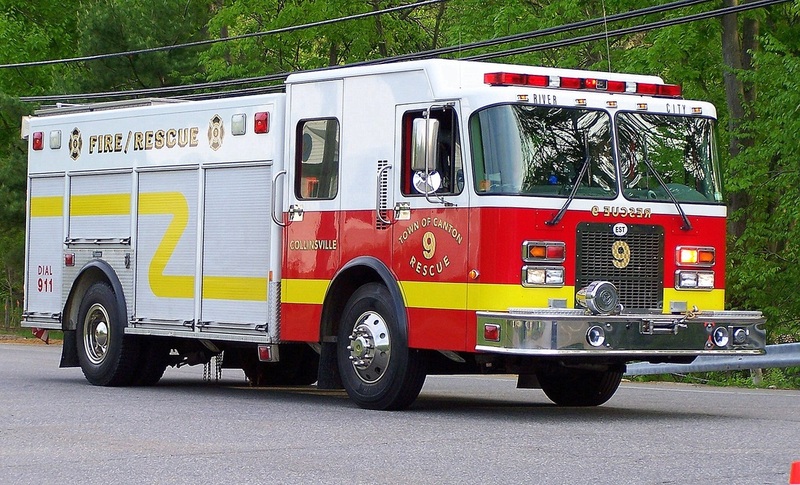 They have 4 engines, 1 ladder truck, 1 rescue truck, 2 ambulances, 1 tanker truck, 1 squad, 1 utility truck and 3 stations (Canton, Collinsville and North Canton). 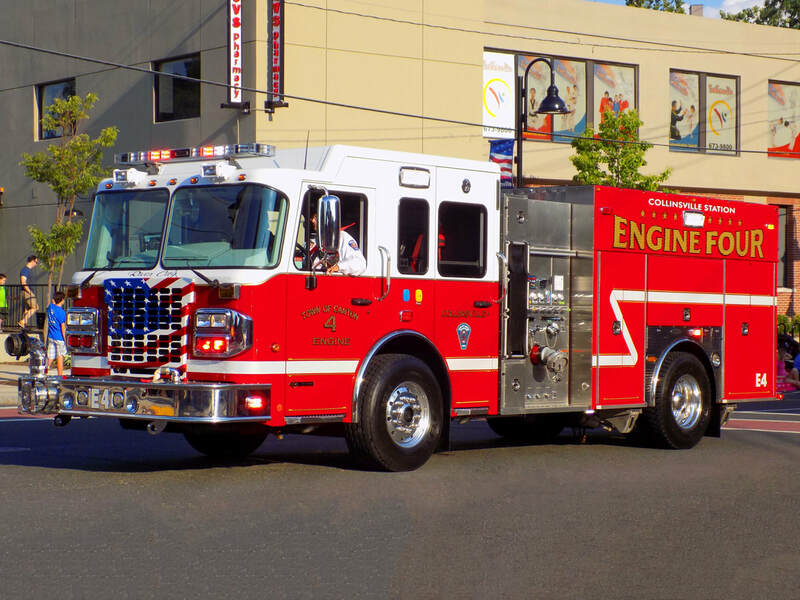 Canton's Engine 1, a 2013 Spartan/ 4 Guys engine. 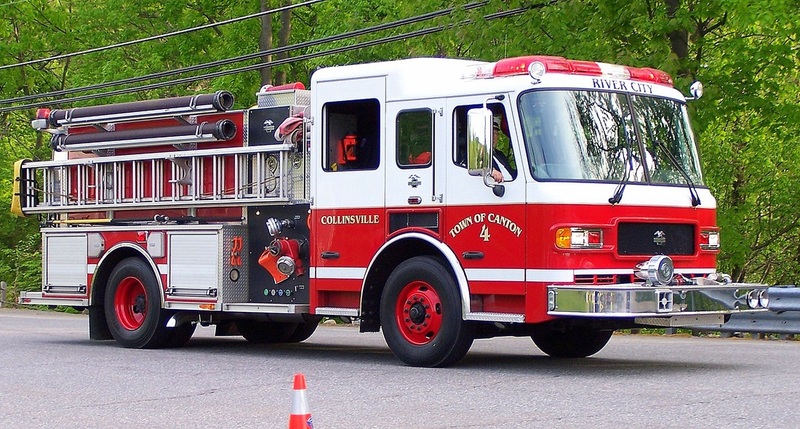 Canton's Engine 3, a 1991 Simon Duplex/Marion engine tanker. 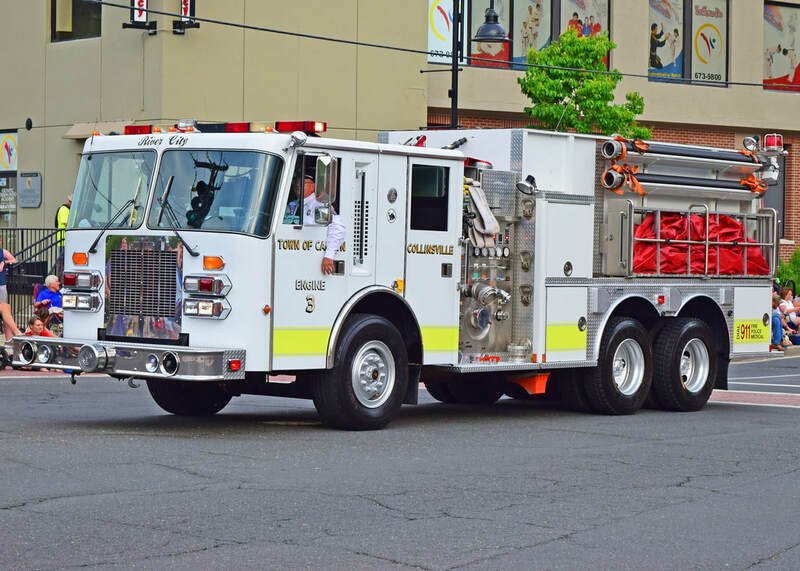 Canton's Engine 4, a 2013 Spartan/4 Guys engine. 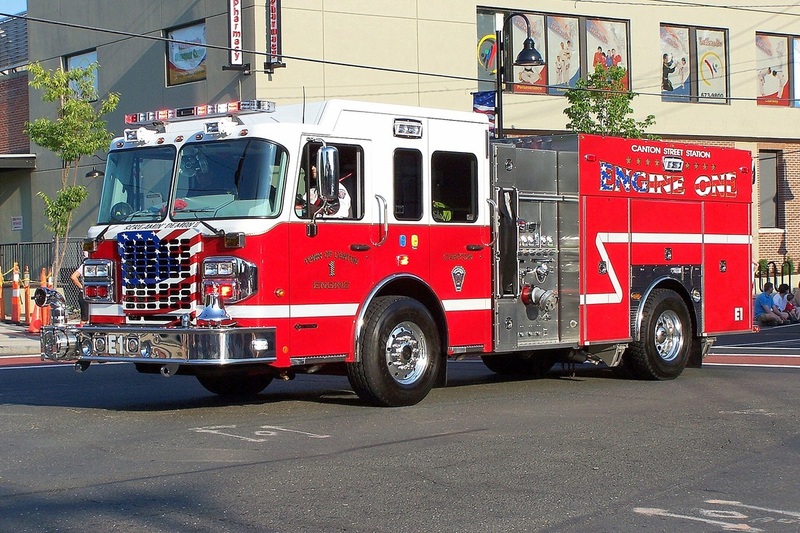 Canton's Engine 6 (former Engine 4), a 2004 American LaFrance Metropolitan pumper. 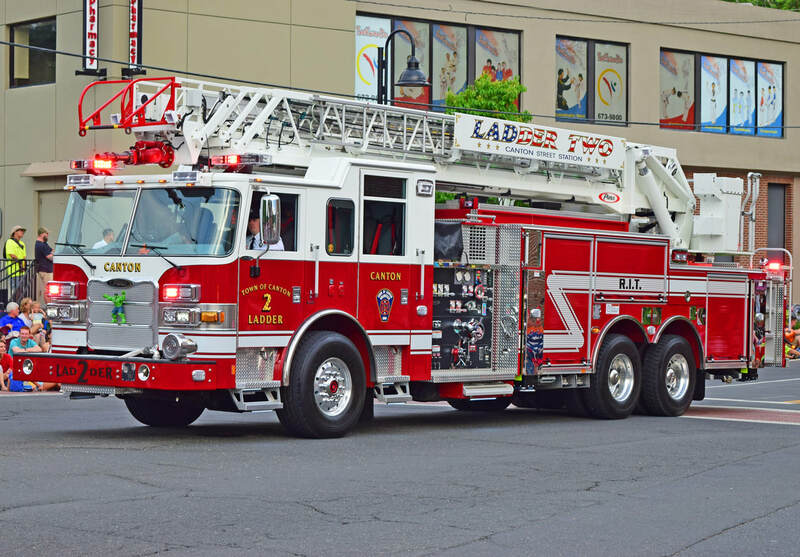 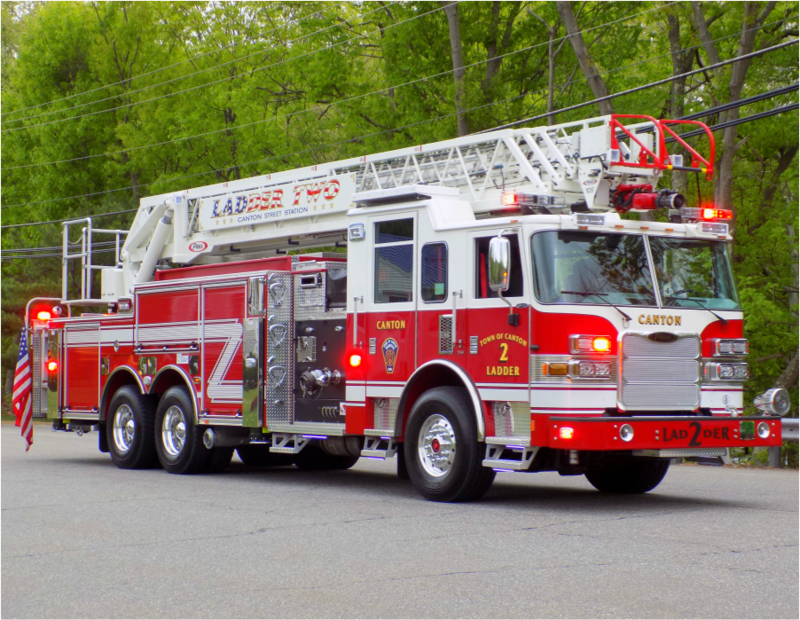 Canton's Ladder 2, a 2014 Pierce Arrow XT 105ft RMA ladder truck (ex demonstrator). 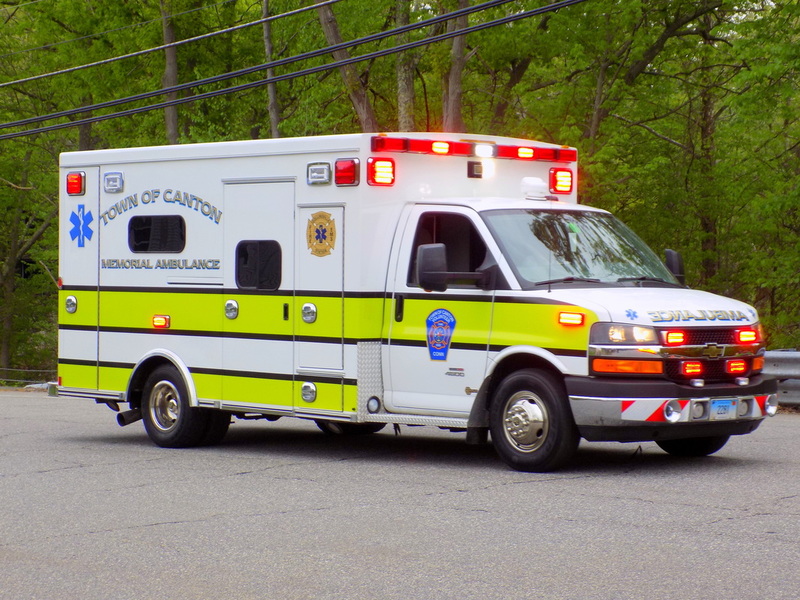 Canton's Ambulance 10, a 2012 Chevy C-4500/Braun ambulance. 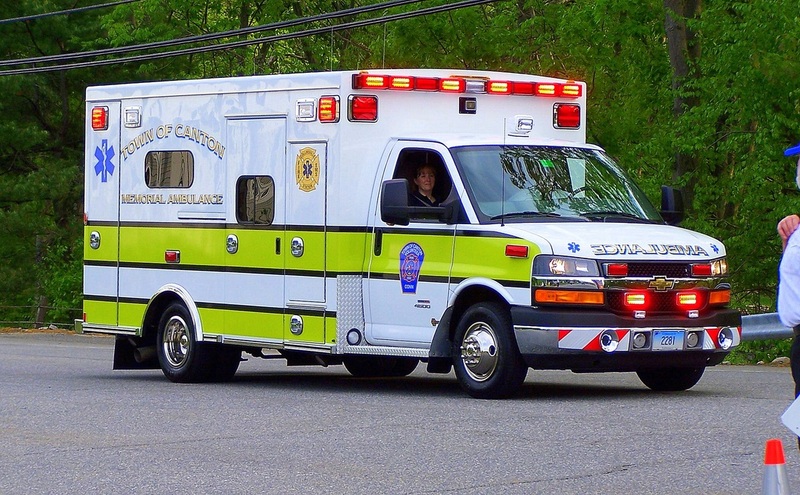 Canton's Ambulance 11, a 2008 Chevy Kodiak/Road Rescue ambulance. 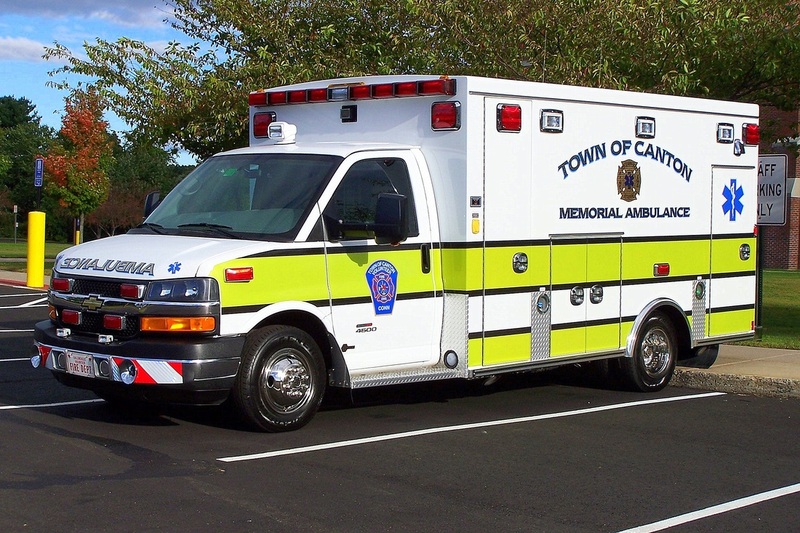 Update 7/2018 - This has been replaced by a 2017 Ford ambulance and has been repainted and turned into the fire police unit. 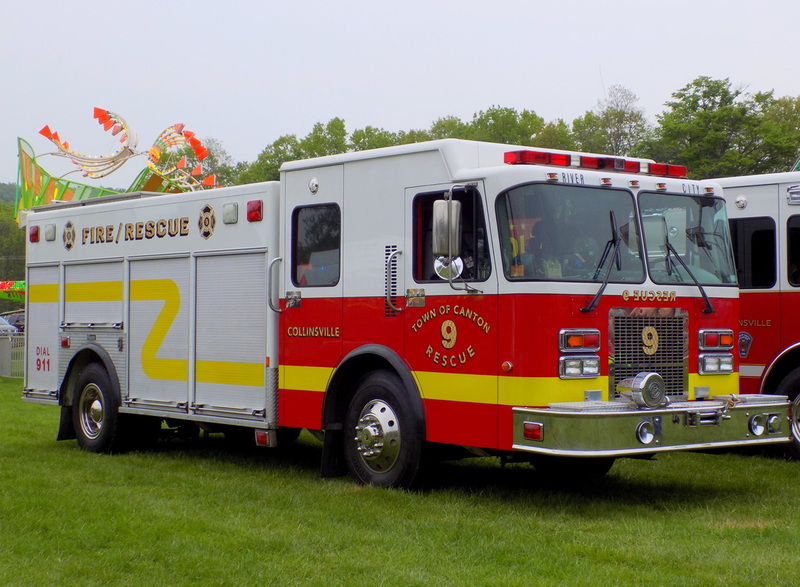 Canton's Rescue 9, a 2001 Spartan/Marion rescue truck. 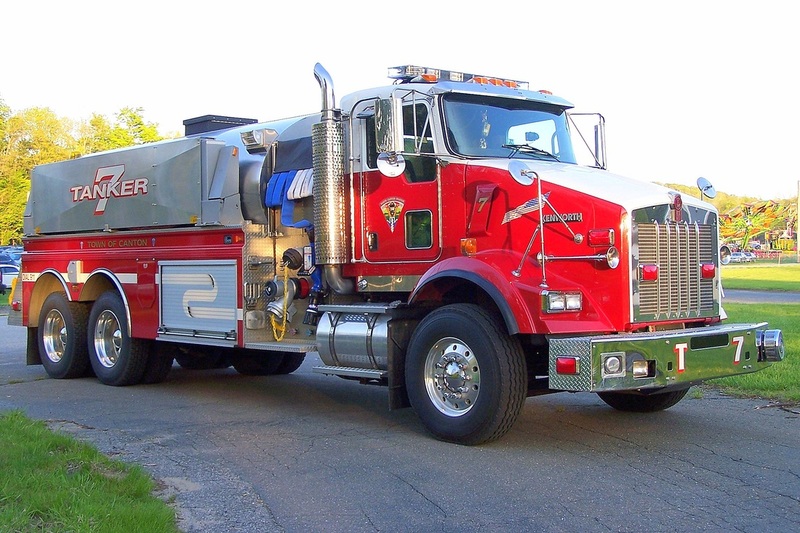 Canton's Tanker 7, a 2006 Kenworth/4 Guys tanker truck. 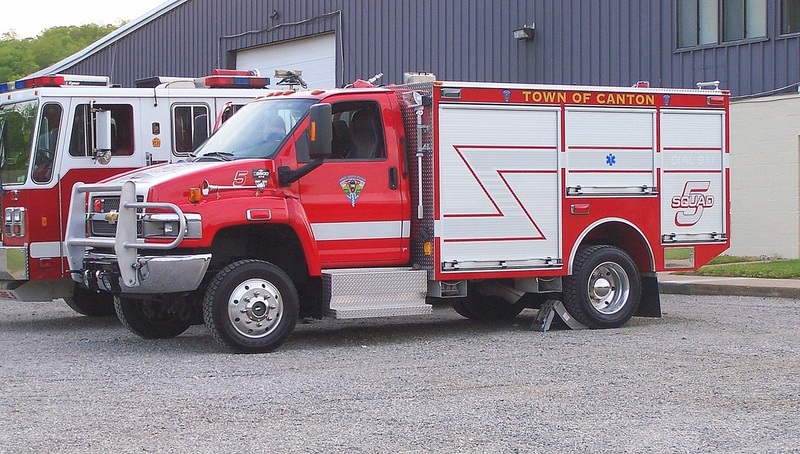 Canton's Squad 5, a Chevy/Firematic brush truck/light rescue. 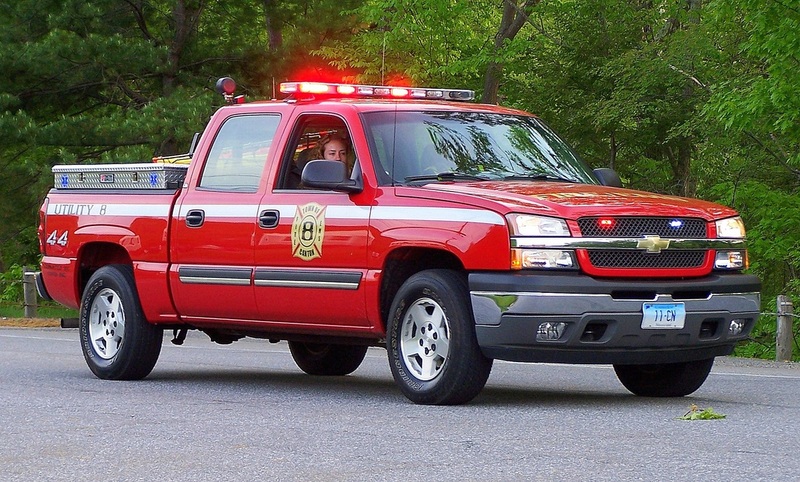 Canton's Utility 8, a Chevy pickup truck.